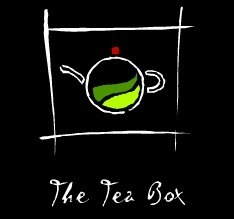 The Tea Box invite all who are potty about tea to come and appreciate its charms properly. There are two ways that they encourage this: via their prettily decorated tea house, or to take home with you in a cute little tin. They look sweet and nice, but they have a serious side as well, which can be seen by their rigorous tea making – and blending – standards. The owner, Jemma Swallow, has sourced teas from some of the world's most famous tea gardens, which are all kept in those wonderfully East India Company style tins with the heavy black lids. These are an much a decoration as the big tea chest and miss-matched but homely furniture. To accompany your tea, and to round off your afternoon tea if you're so inclined, The Tea Box serves locally made scones, gingerbreads, flapjacks and a selection of cakes. If you want something more substantial they also do salads and sandwiches. On every table is a mini tea timer so that you can make sure that you get the strength right. See, I told you they take this tea thing seriously.